Hungry pandas don't really care whether there's a partial government shutdown. 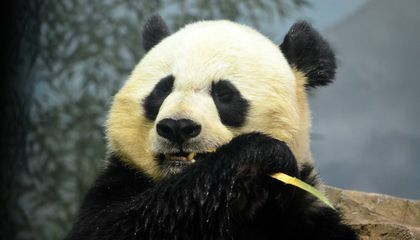 The pandas live at the Washington National Zoological Park. They are the zoo's most famous residents. But they still need to be fed. So do thousands of other animals. It doesn't matter that the zoo has closed its gates. This happened last Wednesday. The zoo is part of the Smithsonian. It has a network of museums. All stayed open through New Year's Day. They used pre-existing funds. That money is now gone. "We plan to maintain the current level of care for the animals. That's not going to change no matter what." That's according to Annalisa Meyer. She is the National Zoo spokeswoman. There also are animal pregnancies to watch. And there is and poop to be scooped. The zoo is still closed to the public. The Connecticut Avenue gateway is usually busy. Last Wednesday it was locked tight. 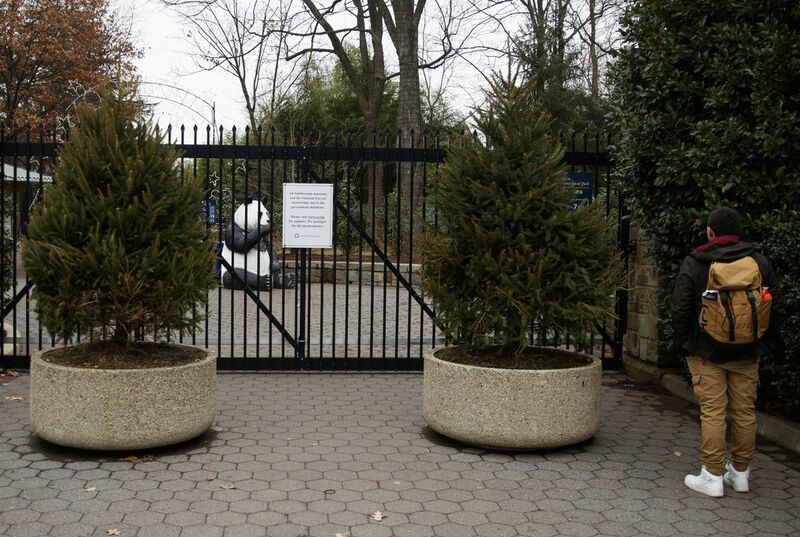 A statue of a giant panda could be seen just behind the fence. It sat alone. It usually is covered in climbing children. Meyer said the zoo's animal care staff will use the downtime to conduct comprehensive medical checks on the animals. The zoo also will be shutting down its four popular live animal cams. There are animal cams for the giant pandas. The are cameras for the elephants. There are cameras for the lions. And the naked mole-rats have cameras. Meyer said the livestreams don't really need federal employees to run them on a daily basis. But they still "require federal resources." The panda web cameras are very popular. They are one of the zoo's signature attractions. And the naked mole-rat cam unexpectedly became riveting viewing in recent months. This came amid a battle for supremacy. It was when a new queen was established. The partial government shutdown began on Dec. 22. President Donald Trump was demanding money for a border wall. It would be on the Mexican border. It has been the sticking point. It has interfered with passing funding bills for several government departments. Trump said last Wednesday that the shutdown will last "as long as it takes." The zoo and the Smithsonian network maintain an unusual relationship with the federal government. They are technically part of the Department of the Interior. The zoo receives about 70 percent of its operating budget from federal appropriations. But they are run by their own Board of Regents. Linda St. Thomas is a Smithsonian spokeswoman. She characterized the network as "quasi-federal." A similar arrangement governs the Kennedy Center. It is cutting back its public visitation hours. But it is still planning to host its scheduled concerts. And the performances will be held. Michelle Pendoley is a Kennedy Center spokeswoman. She said: "The show must go on." There are no imminent signs that the shutdown will end soon. Washington's tourism officials are working hard. They want to ensure that tourists don't cancel their trips. The mayor's office and Washington's tourism bureau have released a list of private museums. They also released a list of off-the-beaten-path attractions for visitors. There are many places to visit. This includes the Newseum. It includes the National Museum of Women in the Arts. It includes the Museum of the Bible. It includes Ford's Theatre. And it includes DAR Constitution Hall. "We know that federal government shutdowns cause many disruptions for both residents and visitors. But we want to remind everyone that while the federal government might be closed, D.C. is open for business," said Mayor Muriel Bowser. I like to see polar bears.I like to see them because at this one zoo there was a polar bear who dances and swims with his toyss.It was so cool to watch him dance and swim because it was funny and cool at the same time.Im also like to see the tigers.They look so powerful like a king sitting and roaring on top of the rockds.So those are the animals I like to see. I like that they still made a list of museums to go to in Washington D.C.